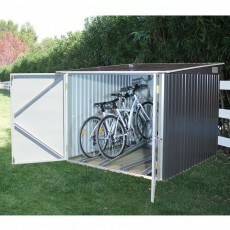 Full width lockable double doors open up to reveal 4 adjustable bicycle tracks. 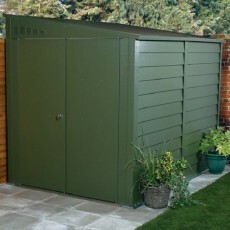 Made from strong galvanised steel panels. 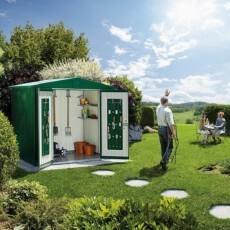 Designed to be compact and elegant, with double doors. 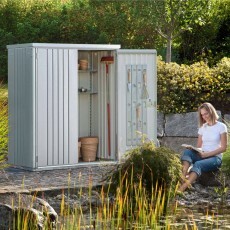 Complete with shelves and tool rails as with all Biohort sheds for added storage space. 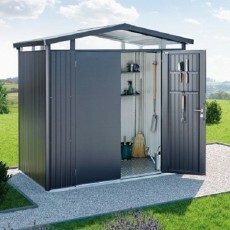 A metal shed with a single sloping pent roof and no windows. 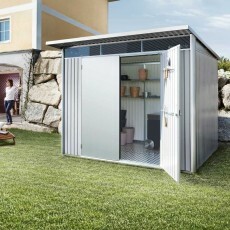 Titan sheds are fire resistant making them highly suitable for mobile homes or schools. 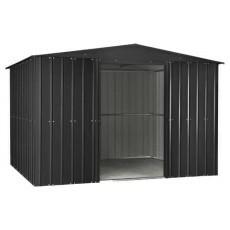 Single sloping pent roofed shed made of hot-dipped galvanised, polyamide coated steel plate. Maintenance free with a 20 year panel guarantee. 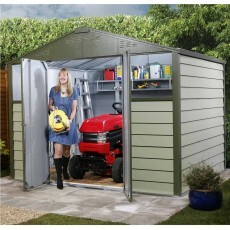 The Panorama is a solid & secure apex metal shed with high level fanlight windows around the whole roof line for added light & attractiveness….